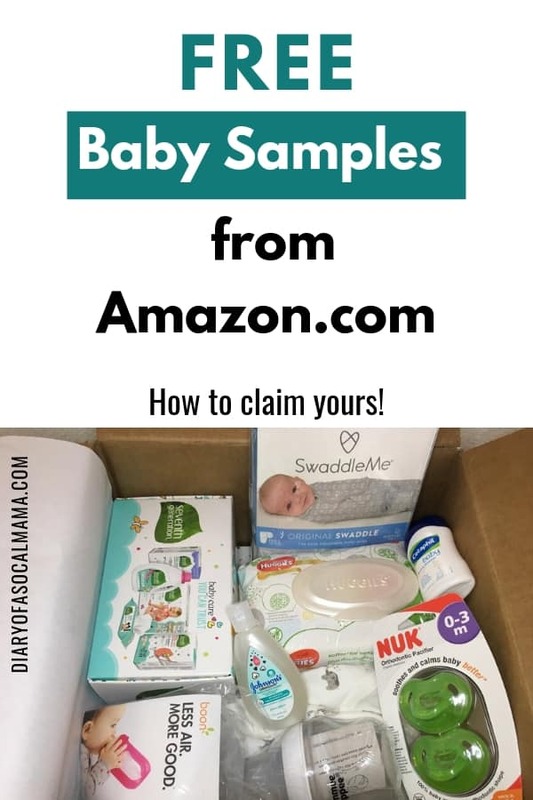 Have you heard of the Amazon baby registry welcome box? 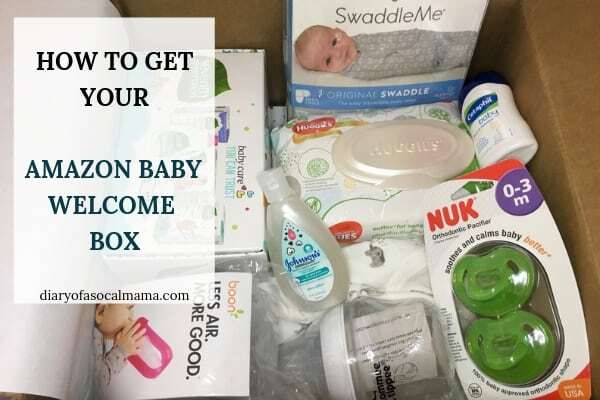 Every expecting mom should take advantage of this baby box filled with freebies for your new arrival. The box typically contains around $35 of free samples. Follow these simple steps to claim your box and watch our unboxing video to see what’s inside! Figuring out how to claim your Amazon baby box can be a little tricky. It sounds a bit labor intensive but it can actually be done pretty quickly. Just follow these steps and you’ll have your box in no time! You will need to have an Amazon prime membership or sign up for the free trial in order to get the free box so keep that in mind before you dive in. 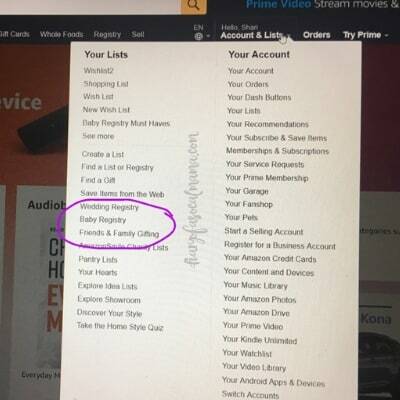 Step 1 – Start an Amazon baby registry! Amazon is a great place to register as people can order from Amazon no matter where they live and the prices are generally competitive. On a desktop computer go to accounts and lists and select baby registry from the column on the left. 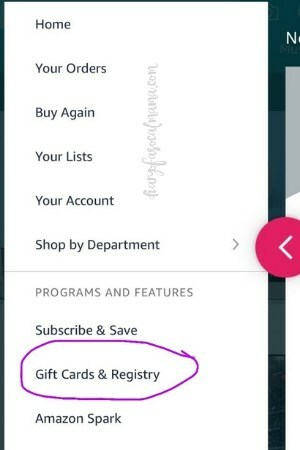 On a mobile phone click the 3 lines in the top left corner to bring down the menu and select Gift Cards & Registry. Then click Baby Registry. To set up a registry you’ll need to enter basic information like your address and due date. You can choose to keep the registry private or make it public so people can search for it under your name. Step 2 – Add something to each category. Once your registry is started you’ll come to the main screen. You’ll want to go through the checklist and select an item from each category. There are 8 main categories with a total of 51 subcategories that you’ll need to go through. This is a great practice for first time moms as it can get you thinking about all the items you may potentially need. It can seem time consuming but it actually goes pretty quickly. Check out my list of baby registry essentials and get my printable checklist! If you’re a second time mom and don’t need much you can just add items that Amazon suggests quickly to fill it up and order your box. Make sure to add a few items you do need. For me that was diaper genie refills. Once you have added something from each category and gotten all the checkboxes return to the main menu to verify. It will now read Almost there. Make a $10 purchase. Step 3: Make a purchase of at least $10. If you are sharing your registry with others you can let someone else make the purchase for you. If not you’ll have to order something yourself. Step 4: Claim your box! Once your items have shipped you will be able to claim your box from that main menu. Add it to your cart and be sure to use your promotional credit to pay for the box. Double check that your order total is $0 before completing the check-out process. Step 5: Enjoy your items! It can take a couple weeks for your box to ship and arrive at your door. Then there’s nothing left to do but enjoy the freebies from your baby welcome box. Be sure to delete any items that you don’t actually want after you order your box. Otherwise you may get a bunch of unwanted items that you’ll need to return. So what’s in the box that makes it worth all the trouble? The box includes around $35 worth of free stuff. Let’s face it, babies can get expensive so every little bit helps. Babies are also notoriously picky about things like bottles and pacifiers so get all the free samples you can. Here are more great places to get free items for your baby. There was a great variety here and all stuff that is useful! The swaddle blanket it definitely a great item as they can be pricey. To see exactly what these items were check out the unboxing video below. Too busy to read? Check out this short video to see what’s in the amazon baby registry welcome box. There you have it. Follow the simple steps and your amazon baby registry welcome box will arrive at your door in no time! You’ll also have a completed or nearly completed baby registry. Now you can go get more free baby samples! For all my pregnancy tips, tricks, and resources please visit the Pregnancy Page!